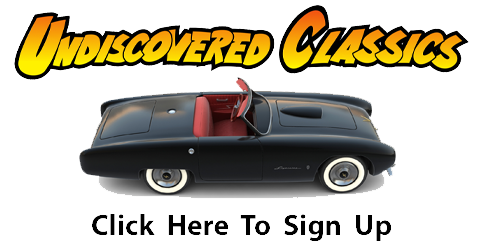 Here’s another short article in the pursuit of placing all articles on fiberglass cars that were published in the 1950s online for your review and enjoyment – here at Forgotten Fiberglass. 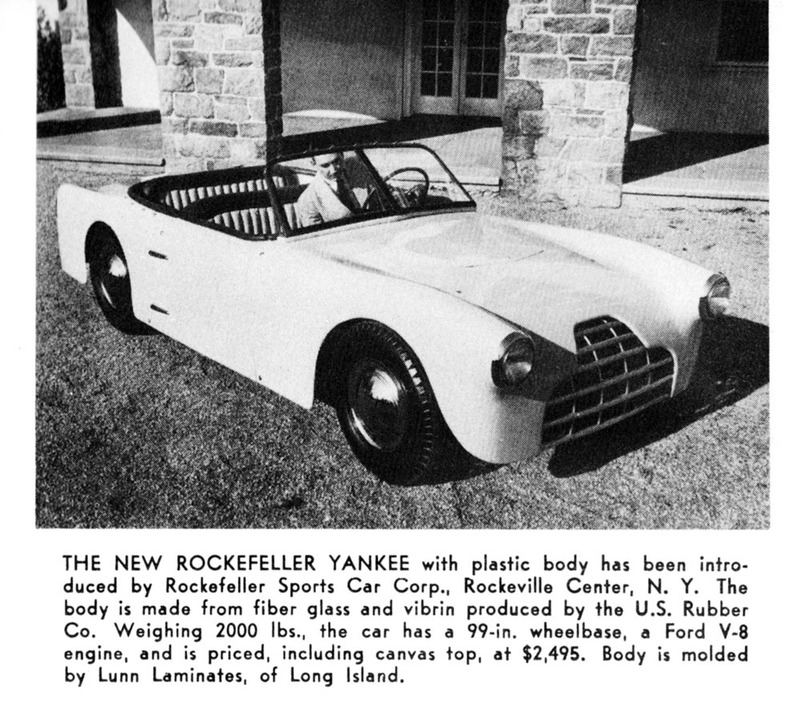 This article is a press release photo and caption of the new “Rockefeller Yankee” sports car from Rockeville Center, New York. About twenty percent of all fiberglass cars produced in the USA in the 50s were made outside California. The Rockefeller Yankee is one that was well-known in the early years of fiberglass sports cars, but mostly forgotten today. And…this was another company (Rockefeller Yankee) that had a relationship with Naugatuck Chemical – the same company that worked with Bill Tritt and Glasspar to make the Glasspar G2 a reality. They purchased their resin and fiberglass from them to make their fiberglass bodies and cars. Great thanks goes to Alden Jewell for sharing this clipping and scans from his collection with us. Much appreciated Alden! Caption: The new Rockefeller Yankee with plastic body has been introduced by Rockefeller Sports Car Corporation; Rockeville Center, New York. The body is made from fiberglass and vibrin produced by the U.S. Rubber Company. Weighing 2000 pounds, the car has a 99 inch wheelbase, a Ford V-8 engine, and is priced, including canvas top, at $2495. Body is molded by Lunn Laminates of Long Island, New York. Looks magnificent! I don’t see many fibreglass mobiles on the road nowadays. Not even in oldtimer shows. I had no clues that most of the fibreglass cars were produced outside of the US.